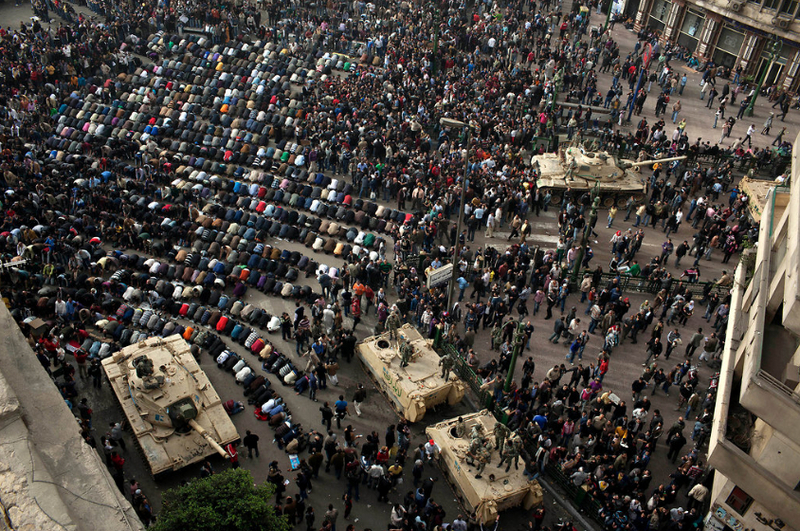 In Egypt, Applaud the People...Not Facebook or Twitter. I've been glued to my laptop and television for the past few days just watching the events unfold in Egypt, devouring all the photos, articles, videos, and tweets that come my way. It's absolutely riveting to witness the bravery and spirit of the Egyptian people as they take to the streets to fight for their rights. And I'm so deeply moved to know that a people can come together, irrespective of class, age, and religion, to push for change that is so desperately needed. Why yes, those are people praying. (Scott Nelson, NYTimes). It's funny though because as I listen to the news and hang out on Twitter, one of the most prevalent themes about the recent uprisings in the Middle East is the role of social media in mobilizing the people. Pundits left, right, and centre have been quick to assess the role of Twitter and Facebook in igniting these revolutions. 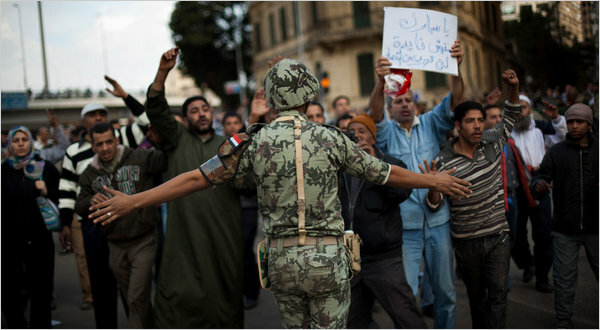 And overly enthusiastic social media evangelists are in a frenzy to call the uprisings a "Twitter revolution". I think it's rather silly though to frame the situation in this way, completely disregarding the political, social, and economic issues that are essentially at the crux of this revolution. And I think it's sheer naiveté to believe that Facebook and Twitter are the only means by which people on the ground are organizing, as if their only point of contact were in cyberspace and not physical space. The buzz surrounding social media has truly been overwhelming and as Malcolm Gladwell wrote in his infamous New Yorker article, "where activists were once defined by their causes, they are now defined by their tools". Of course this is not to say that the role of social media should go unnoticed or downplayed. I do believe that it has played a critical role in the developments in the region, not only by helping to organize internally within the country, but also by getting information out into the world with such ferocious speed, energy, and urgency. Jared Cohen of Google Ideas captured my sentiments best when he described social media as "an accelerant". These tools have undoubtedly changed the media landscape and the implications are significant. After all, the mere fact that the government of Egypt felt it necessary to shut down the Internet and mobile communications is testament enough to its importance. There's no dispute there. But let's not let the allure of these new technologies overshadow the bravery of the people. Yes, digital media and communication technologies have made it profoundly easier for ordinary citizens to mobilize, organize, and coordinate their efforts and that's certainly nothing to scoff at. But at the end of the day, it is the people who are the driving force of this (and any) revolution. And Facebook, Twitter, cellphones, telephones, fax machines, telegrams, or whatever the current technology of the day is, are only tools that people have at their disposal to use. In the end, it is still the people who must take to the streets and risk their lives for a better future. And as we grapple to understand these new technologies, I hope we don't lose sight of this very basic truth.